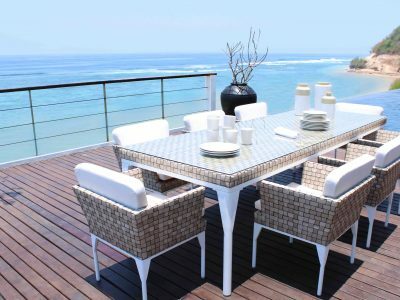 We have our new range of JARDINICO Caractère Garden Parasols. 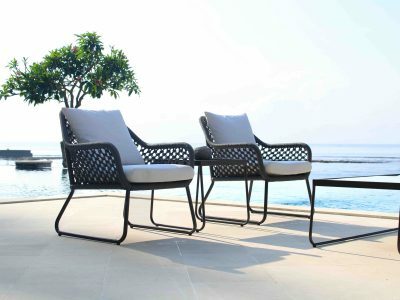 Built to last and comes complete with heavy duty wheeled base. 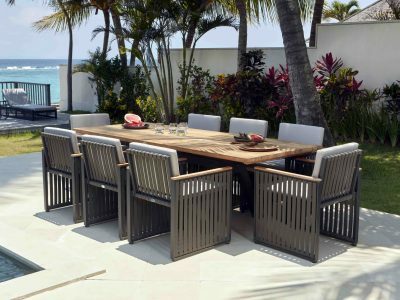 This Collection of garden dining sets feature the Alaska Teak Dining Table which we have paired with the Trinity Dining chairs and the Windsor dining chairs. 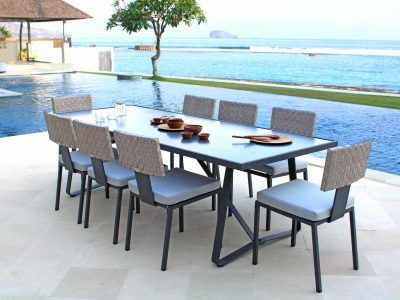 The Alaska Dining Table is available is different sizes and have a choice of base finishes to coordinate with the chairs. 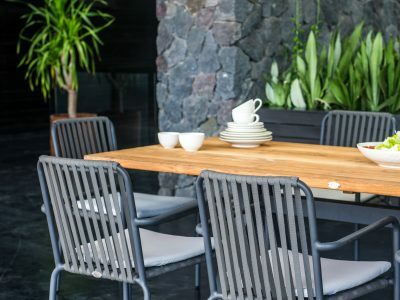 We offer the Trinity Dining Chair in two finishes the carbon which feature the Carbon frame and Strapping detail or finish in the silver Walnut frame finished with Silver Walnut Rattan weave detailing. 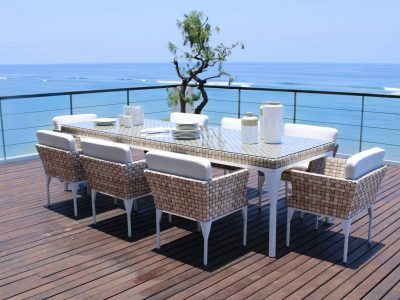 New For this year the beautiful Brafta Rattan Dining Set in the Sea Shell Rattan finish. 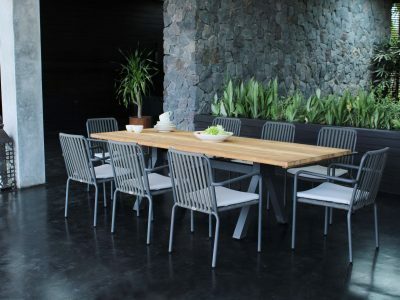 This beautiful and modern garden dining set is available in a range of sizes and two different finishes. 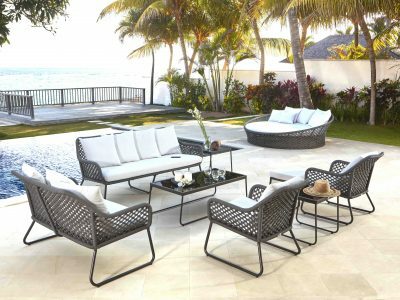 Here we have the Brafta Sea Shell Garden Dining Collection which has the clean Fresh white powder coated Frame combined with the beautiful Sea Shell Rattan weave. 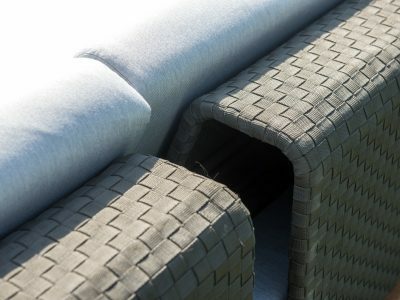 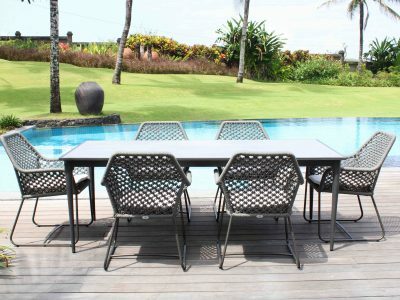 We also offer the #BraftaDining set with the silver walnut rattan weave and grey frame. 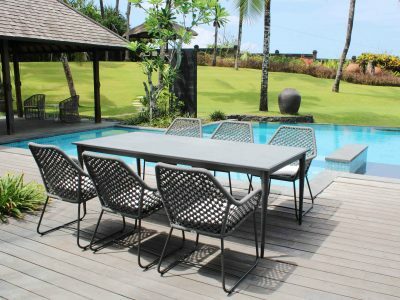 Featuring the new Skyline Design Carbon Windsor Rectangular garden dining sets which feature the carbon powder coated frame which feature both the Alaksa Teak Table top with the carbon frame or these chairs also look great with the Horizon Metal Garden Table which feature the aluminium Composite Table top. 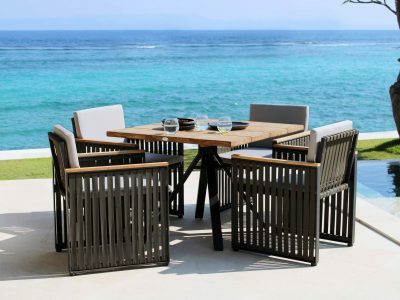 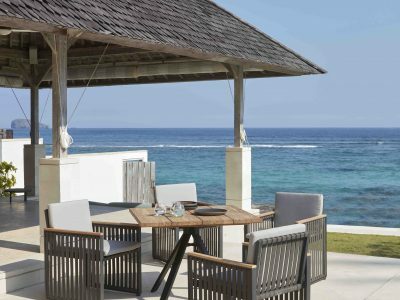 The #Windsordining collection is also available with the Carbon Frame and Silver Walnut Rattan Detailing or we offer with the Fresh Matt White Frames and the Sea Shell Rattan Weave. 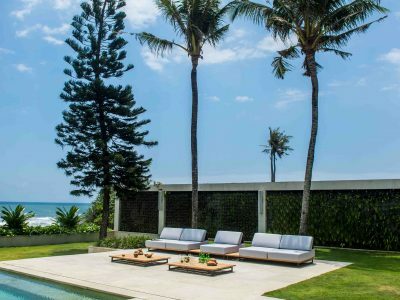 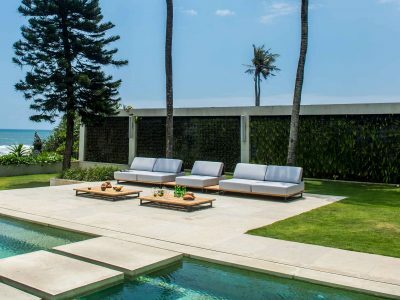 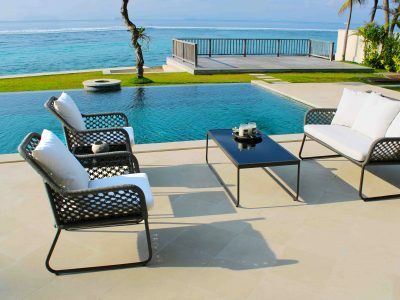 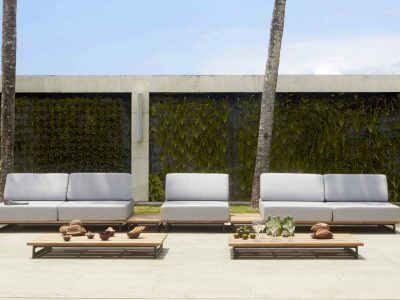 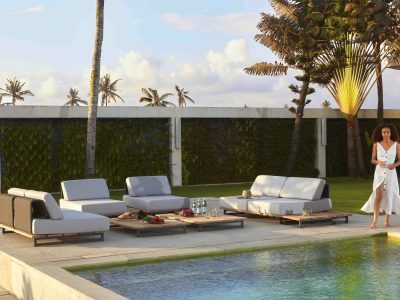 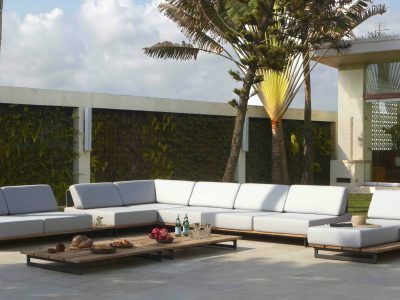 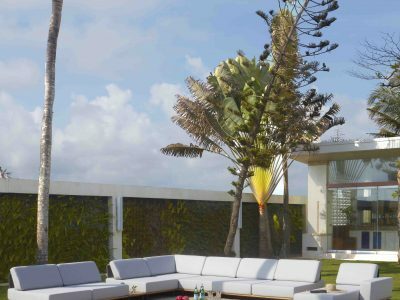 Bringing a modern feel to you garden is easily achieved with Contemporary Garden Furniture design. 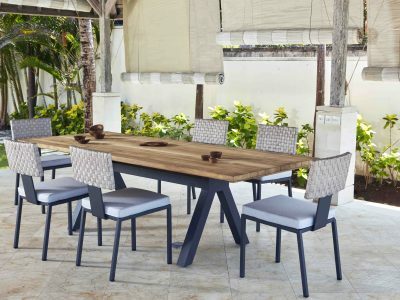 Here is a quick peak at our new Horizon Dining Collection which has a powder coated aluminium frame and strapping detailing finished with teak detailed arms and matched with our beautiful Alaska Teak Dining Table. 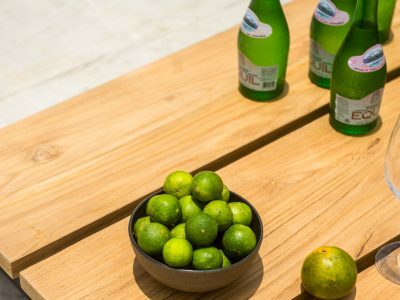 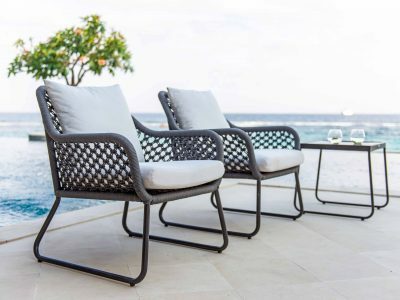 When buying #gardenfurniture we always recommend you sit, touch and feel the furniture before you buy so you can see the quality and see how comfortable it is. 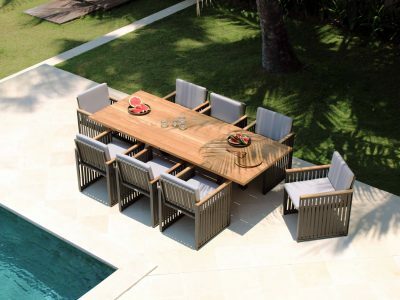 Here at #poshgardenfurniture we have a large #gardenfurniture showroom where you can do just that. 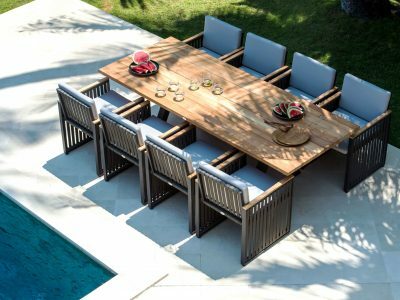 We have exclsuive #designergardenfurniture on display by #skylinedesign #alexanderrose #Darocane so if you are looking for quality garden furniture why non pop in store. 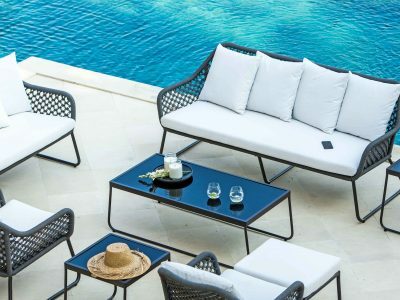 When Buying a garden parasol we always recommend you see in before you buy, with so many #cantilever #Gardenparasols on the market how do you know what to look for? 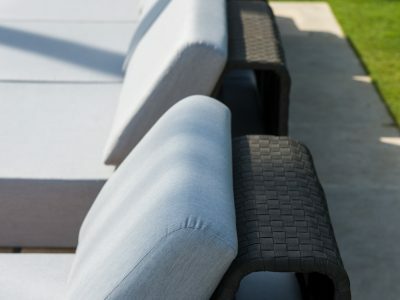 Well we have a wide range available for you to view at our #westmidlands #gardenfurniturecentre and we have special deals on our quality Platinum range. 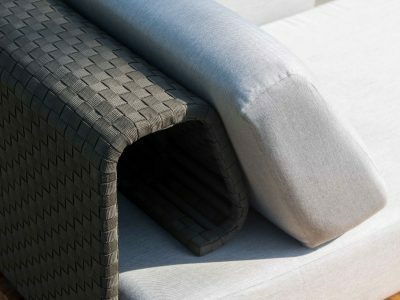 First of all you need to work out what area you would like to cover to ensure you new #gardenparasol covers the area needed. 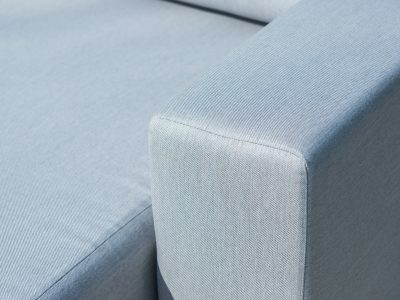 What shape are you wanting round, square, rectangular ? 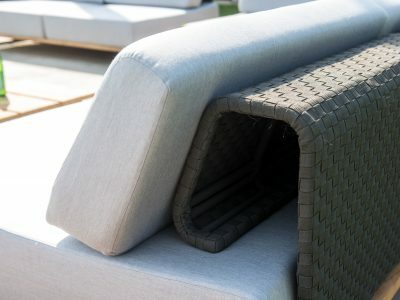 Do you want a tilting action allowing you to keep shaded no matter where the sun is without having to move the parasol around your garden. 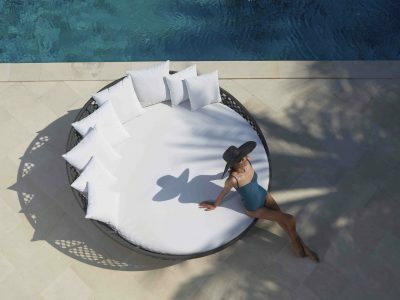 Why not have a fully rotating parasol which allows you to rotate the parasol 360 degrees. 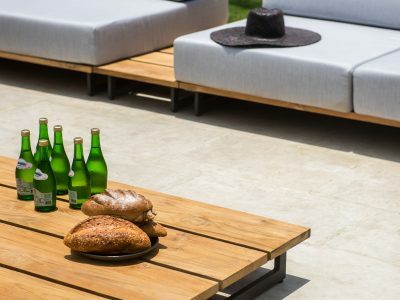 Looking for space saving ideas then our great in ground #parasolbase is a great idea. 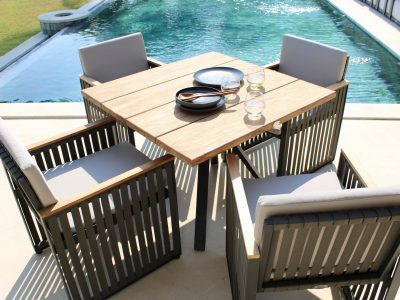 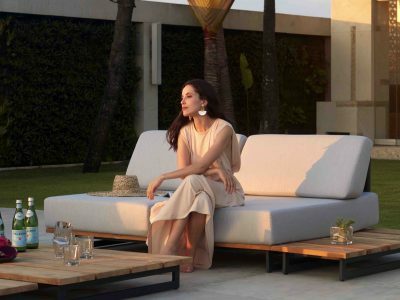 Looking to buy Garden Furniture but fed up of seeing the same designs then visit our #Westmidlands #poshgardenfurniture where you can see our fanstaic range of designer garden furniture. 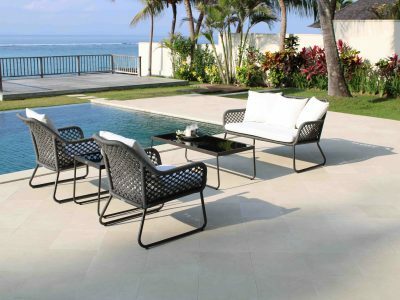 With designs to really bring your garden to life with the quality you only get from quality garden furniture. 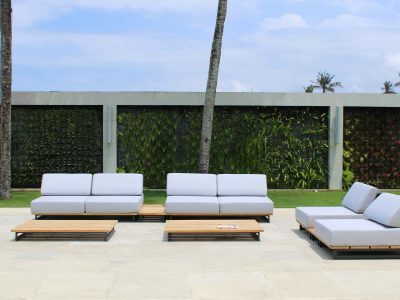 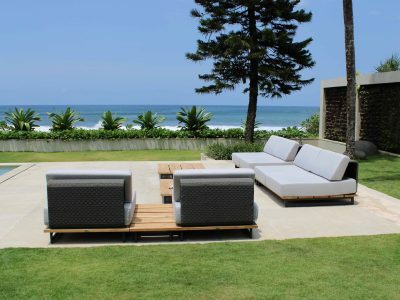 #Daybeds #Gardensofasets #gardendining we have designs you will love so pop in today. 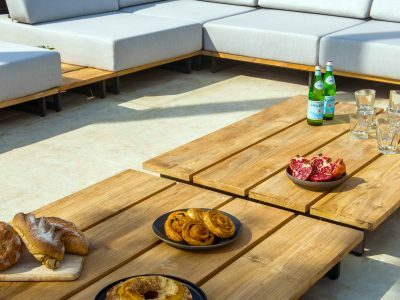 Make the most of your garden all year round with our incredible Sun Louver Aluminium Garden Pergola with it's adjustable roof rafters allowing you to create a fully waterproof area with the rafters closed or open to enjoy the summer sun with shaded area. 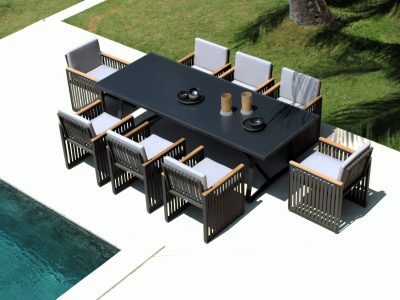 New to the UK this stunning #SunLouver Aluminium Pergola gazebo is available in a range of sizes and in three colours White, Matt Black or Grey to really become a feature in your garden.